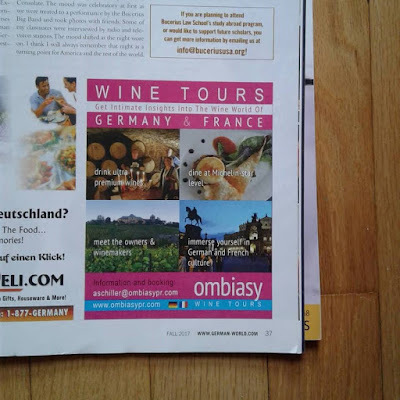 Below is a list of the wine tours, wine dinners and wine tastings planned by Annette and Christian Schiller/ ombiasyPR & WineTours/ schiller-wine for the coming months. For questions concerning the ombiasy wine tours please consult the ombiasy website. For all other events please send me (cschiller@schiller-wine.com) or Annette (aschiller@ombiasypr.com) an e-mail. Rhône Valley, France, October 15 - 24: 2018 Rhône Valley Tour by ombiasy WineTours.